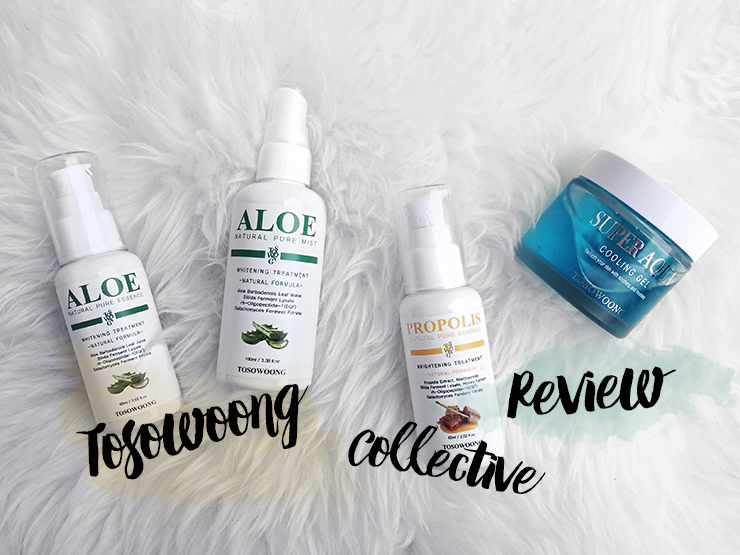 Tosowoong Collective Brand Review: Propolis + Aloe Essence, Aloe Face Mist and Super Aqua Cooling Gel! Ever since I posted about my haul from Tosowoong I got constant questions about how the products worked for me. Since I doubt that I'll ever come around to write up a detailed review for everything, I decided to do a collective review on all the four items that I got. 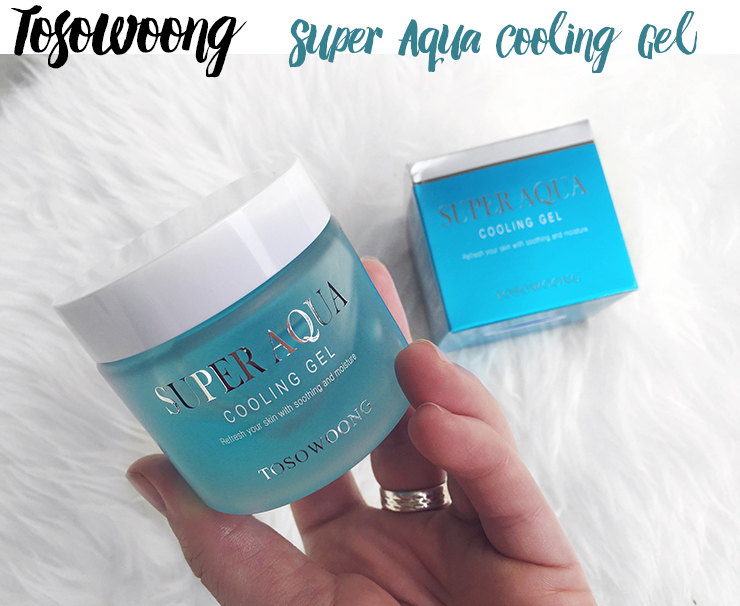 It was my very first time trying anything from Tosowoong, and after pledging my eternal love for COSRX, it almost felt forbidden to delve into different skincare depths. *dramatic voice* I purchased everything from Roseroseshop and everything arrived in good condition in just under 10 days to Germany! All the pretties in one single picture. I've received: Aloe Natural Pure Essence, Aloe Natural Pure Mist, Propolis Natural Pure Essence and the Super Aqua Cooling Gel. Spoiler: There is one product I really love, two that I like and one that didn't do anything for me at all. Wanna take a guess....? My first ever aloe essence! I honestly wanted to try the one from COSRX -as I like their snail essence so much- but since I was going to order from RRS anyways, it just went into the cart as the price sounded way too good to pass. 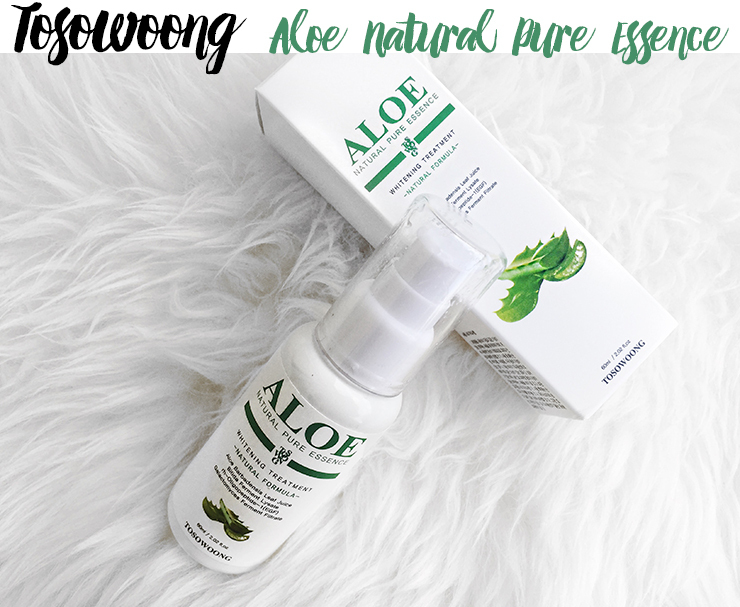 Ingredients: Aloe Barbadensis Leaf Water, Butylene Glycol, Niacinamide, Glycereth-26, Water, Human Oligopeptide-1, Galactomyces ferment filtrate, Bifida Ferment lysate, Centella Asiatica Extract, Betaine, Allantoin, Acrylates/C10-30 alkyl acrylate crosspolymer. Arginine, Adenosine, Aloe Barbadensis Leaf Extract, Aloe Barbadensis Leaf Juice, Actinidia Chinensis Fruit Extract, Cucumis Sativus Fruit Extract, Sodium Hyaluronate, Rubus Fruticosus Fruit Extract, Euterpe Oleracea Fruit Extract, Rubus Idaeus Fruit Extract, Fragaria Chiloensis Fruit Extract, Vaccinium Myrtillus Fruit Extract, Vaccinium Macrocarpon Fruit Extract, Juniperus Communis Fruit Extract, Sapindus Mukurossi Fruit Extract, Vaccinium Angustifolium Fruit Extract, Phenoxyethanol, Ethylhexylglycerin, Disodium EDTA, Aronia Melanocarpa Fruit Extract. This 60ml essence has no real acne trigger or irritants (apart from Butylene Glycol which is really in every single beauty product) which makes it great for sensitive or acne-prone skin. 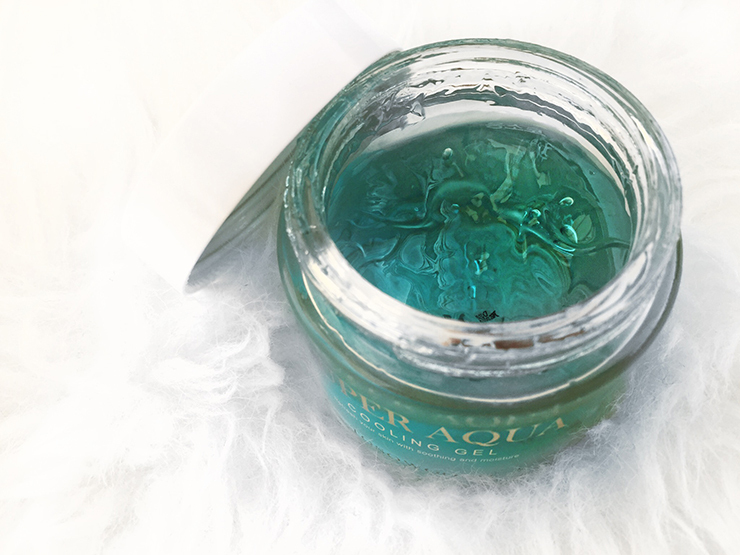 It has a light, almost watery gel-like texture that sinks in fast into the skin (1-2 mins until any stickiness goes away) and feels refreshing upon application. I do like this essence, but I am not sure if I'll repurchase it (probably not). 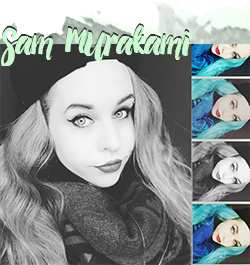 While I didn't have any negative responses from it, I also didn't experience any noticeable positive changes, truth be told. It's a solid, yet a bit boring essence. I highly recommend it for anyone who has a lot of trouble finding essences with little to no irritants (although this doesn't necessarily mean it can't break you out) and who are in dire need of some soothing action in their skincare regime. This propolis essence was actually the item that I was the most excited about initially and one of the main reasons that I placed an order. 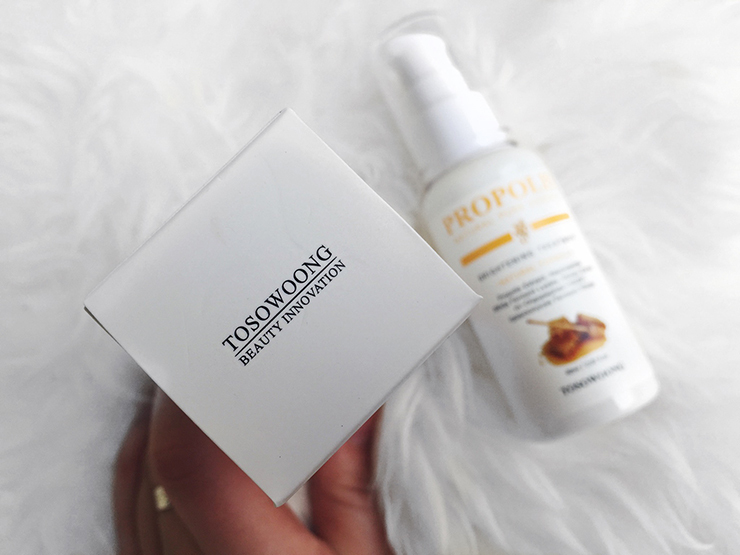 I have tried quite a few different propolis products before (comparison review coming up shortly!) and since it seems to be one of the best ingredients against my acne, I had to give this a try. Ingredients: Propolis Extract (75%), Butylene Glycol, Glycerin, Niacinamide, Water, Oligopeptide-1, Galactomyces ferment filtrate, Bifida Ferment lysate, Gotu Kola, Betaine, Allantoin, Acrylates/C10-30 alkyl acrylate crosspolymer, Arginine, Adenosine, Honey, Royal Jelly Extract, Olive Leaf, Extract, Sodium Hyaluronate, Blackberry, Raspberry, Strawberry, Bilberry, Cranberry, Juniper, Soapberry, Blueberry, Phenoxyethanol, Ethylhexylglycerin, Disodium EDTA, Aronia berry extract. I was very thrilled to see that this essence actually contains 75% of propolis extract, more than any other product I've tried so far! That was about it, though. 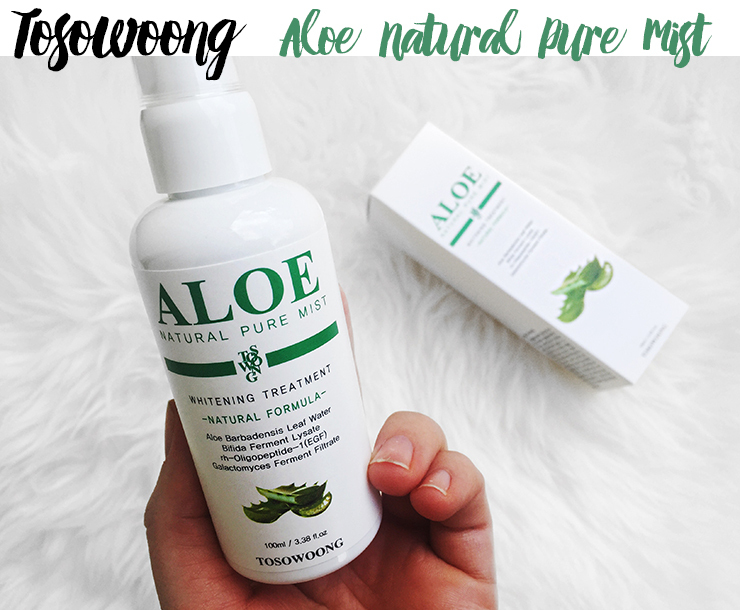 The texture feels and looks identical to that of the aloe essence and is only really distinguishable by the scent. I don't know what I expected, but I am not sure if this did anything for my skin. 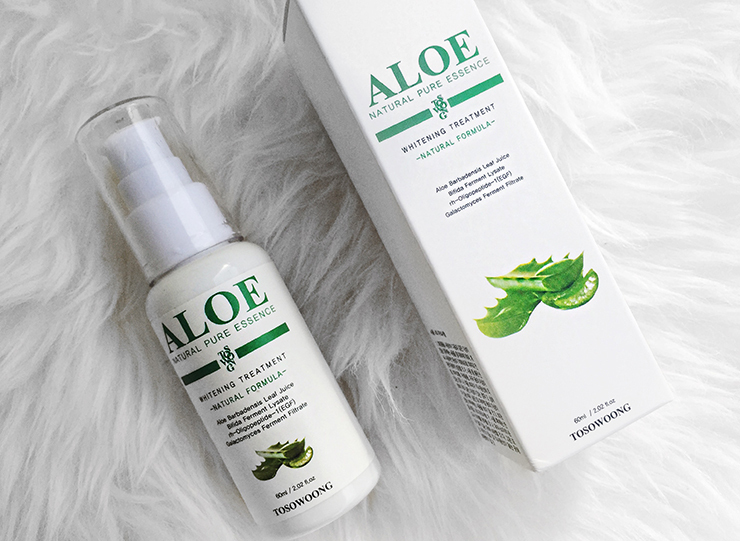 Like the aloe essence, no negative changes occured but there also hasn't really been any improvement although I've used it for 2-3 months until I ran out of it. Now that it's gone, I'm not particularly missing it. I have already discovered a way better propolis product and am so excited to share with you soon in my propolis battle comparison review! Bottom line: Very underwhelming, not bad, just very boring. Will not repurchase. 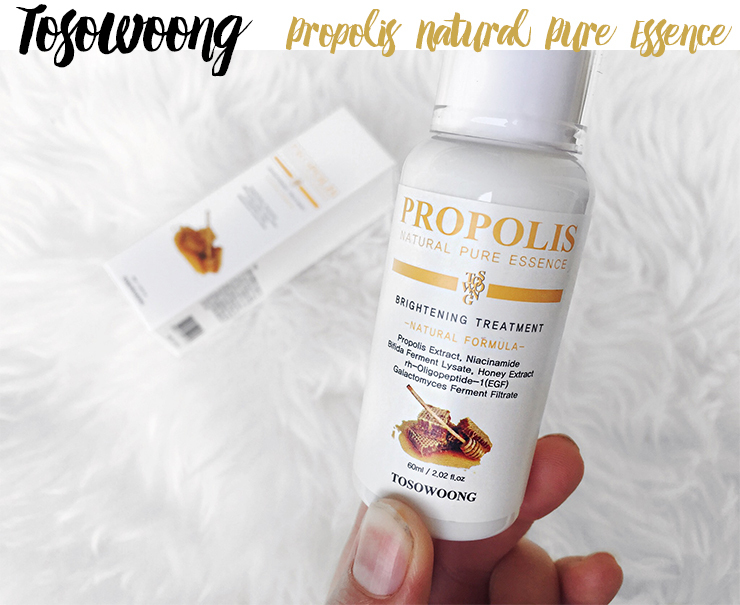 A solid propolis product though with good ingredients, just didn't work for me as I had hoped. 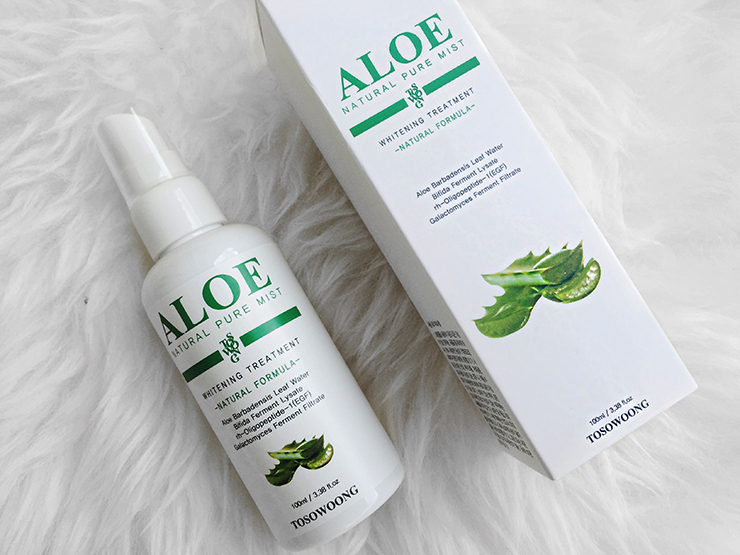 Looking almost identical in a bigger spray bottle, I also got the Aloe Natural Pure Mist. I have used mists before but have never really gotten excited over any. HOWEVER. This, right here, works so much better than the aloe essence for some reason. I wasn't able to find the ingredients list from either Cosdna or Hwahae, however, from my sloppy packaging translation, it looks pretty identical to the essence form with minor alterations. Despite this, the mist works so much better for me than the essence! It comes in a 100ml spray bottle and the spraying is quite "strong" - it's not some super thin micro mist, so your face will get pretty wet if you spray with too much force or from too close (Source: Happened to me.) However, if I take use of my full arm's length (and I do advise you to do so!) it works just fine. Since I am working in a train station, it gets pretty cold in the autumn and winter months - it's gotten pretty cold in Germany lately, so that means that the heater is on almost non-stop in my workplace which dries me out like nobody's business. Real bad. Which makes me so glad that I have this - I am spritzing my face with it in my work break and also in between and it made a huge difference! I find this to be really moisturizing/revitalizing and my skin feels so much more comfortable despite the constant heat action. Why the mist feels much more moisturizing than the essence, I will probably never know. This is by far the best mist I have used where I really feel a difference upon usage (which wasn't really the case with my Innisfree Green Tea Mist in the past)! I also loved to use this in the summer months to give my skin a break from sweating and cooling it off a bit. I was really surprised that I liked this product so much, but I recommend it way before the two essences I've tried! 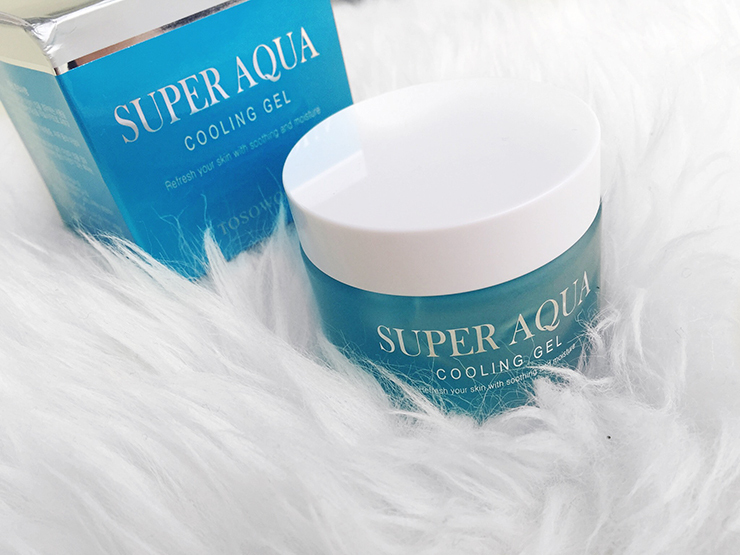 Now, last but not least: my personal superstar, the Super Aqua Cooling Gel. I was recommended this by Jude, who was a big fan of the light gel texture and her description sounded just like what I was looking for. As I stated in many skincare posts of mine, my skin doesn't take too well with too high oil and silicone content in my skincre routine, so I am always on the hunt for lightweight but moisturizing products. Ingredients: Glacier Water, Butylene Glycol, Sodium Hyaluronate, PEG-8, Glycerin, Alcohol Denat, Carbomer, Badger Oil, Phyllostachis Bambusoides Juice, Seawater, Fucus Vesiculosus Extract, Asparagus Lucidus Root Extract, Tussilago Farfara Flower Extract, Laminaria Japonica Extract, Betula Platyphylla Japonica Juice, Cereus Grandiflorus Flower Extract, Chondrus Crispus (Irish Moss), PEG-60 Hydrogenated Castor Oil, Hydroxyethylcellulose, Ethyl menthane carboxamide, Fructan, Gellan gum, Glyceryl polyacrylate, Panthenol, Benzophenone-5, Triethanol amine, Disodium EDTA, Phenoxyethanol, Chlorphenesin, Caprylyl Glycol, Ethylhexylglycerin, CI 42090. For the sensitive skin ladies and gents out there; Be aware, this product contains some ingredients that might or might not be problematic for you: Alcohol is pretty high up on the ingredients list as well as Chondrus Crispus, which is a species of red algae, that Cosdna ranks with a "5" under acne irritation. I personally did not have any problems with it, but patch-testing is always a good idea, especially with very acne-prone skin. Now that we got this out of the way, this stuff is so good. 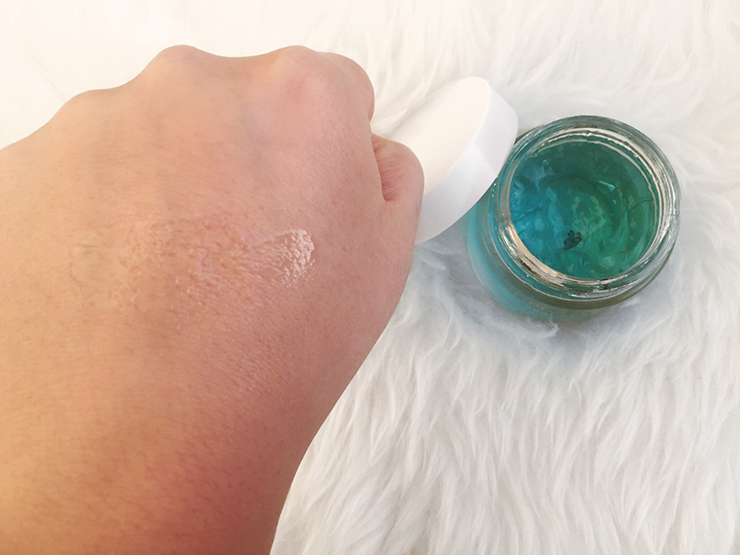 It is a very lightweight gel on water-basis instead of silicones and my skin loves this so much! I wish I knew about this when I was breaking out like crazy in Japanese and Korean sweaty summers. I am using this as my daily moisturizer in the morning and I love how it melts instantly into the skin with only being sticky for a minute or so. I had a similar gel that I liked, but it was very high in silicones which is why I prefer this a lot. Also, the jar is jam-packed with product, which means it will probably last a small eternity. I've been using it for 2-3 months and have maybe used a fifth of the jar (if even). It's not incredibly moisturizing, but hydrating enough for my AM routine and as a base for my make-up. This is by far my favorite product out of the bunch that I got!